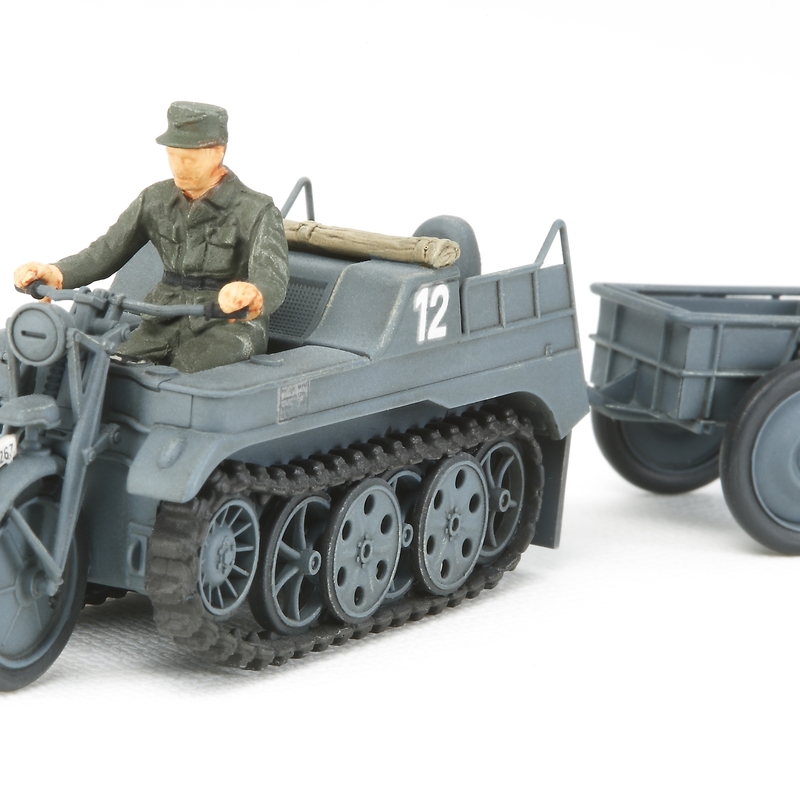 During WWII, the Kettenkraftrad was used by the German army in a variety of roles such as a transportation and communication vehicle, as well as towing vehicles and artillery. Special Feature 1 Spin-cast parts provide the model with greater weight for added presence. Special Feature 2 A paint wash a light weathering is applied to enhance scale realism. 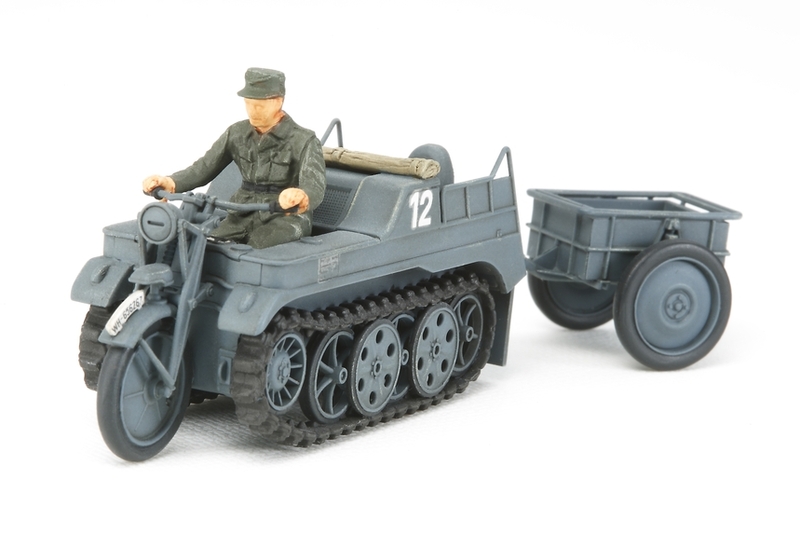 Special Feature 3 Accessories including ammunition cases, jerry cans, Kar98K rifles etc. included. Special Feature 4 One driver figure included. Special Feature 5 Comes with a historical leaflet.